The Royal Canadian Air Force is contending with a shortage of around 275 pilots and needs more mechanics, sensor operators and other trained personnel as well in the face of increasing demands to conduct and support domestic and international missions. The Air Force says it is working to address the deficiencies and that they have not negatively impacted operations. 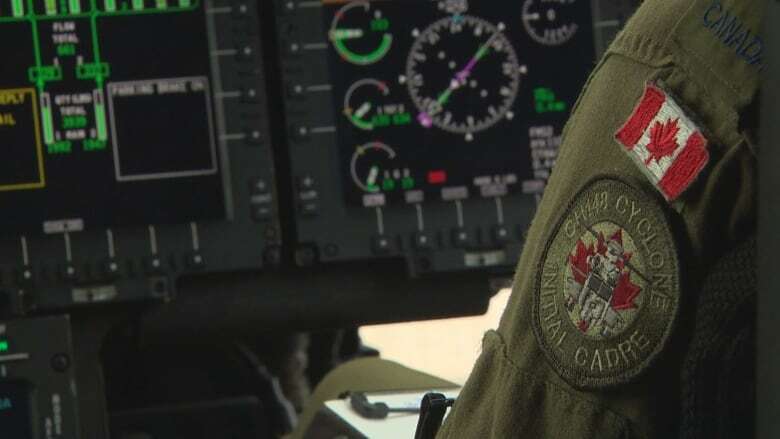 Still, officials acknowledge the situation has added pressure on Canada's flying corps and will represent a real challenge for the foreseeable future. "Right now we're doing everything we can to make sure we recruit, train and retain enough personnel to do our current mission," said Brig.-Gen. Eric Kenny, director general of air readiness. "In the next 20 years, it's going to be a challenge to grow the force at the rate that we would like." The shortfall in pilots and mechanics was referenced in an internal report recently published by the Department of National Defence, which also flagged underspending on maintenance for bases and other infrastructure, as well as reductions in annual flying times thanks to Conservative-era budget cuts. Some of those issues have since started to be addressed by the Liberals through their new defence policy, but the personnel shortage remains an area of critical concern given the need for pilots and others to fly and maintain the military's various aircraft fleets at home and abroad. Those include the planes and helicopters involved in Canada's military missions in Iraq, Latvia, Mali, and Ukraine; domestic search-and-rescue aircraft; and the CF-18 fighter jets deployed in Romania and guarding against a foreign attack on North America. The Air Force is authorized to have 1,580 pilots, but Kenny said in an interview that the Air Force is short by around 17 per cent, or about 275 pilots. It is facing similar deficiencies when it comes to navigators and sensor operators who work onboard different types of aircraft as well as mechanics, he added. Kenny also acknowledged the threat of burnout as service members are forced to pick up the slack left by unfilled positions, and the added challenge in the coming years as the Air Force receives new drones, fighter jets and other aircraft — which will require even more people to fly and maintain. Efforts have been made to address the shortfalls, including more focus on retaining service members with tax breaks, additional support and services for family members to ease military life, and plans to free up experienced personnel by assigning administrative staff to do day-to-day tasks. Several initiatives have also been introduced to speed up recruitment and training and attract older pilots back into the Forces, which has borne some fruit, while the military looks at changing the length of time pilots and others are required to serve before they can leave. But the current training system means the Air Force can only produce 115 new pilots each year, which commanders have said is insufficient to meet its needs given the number that have been leaving for commercial opportunities in recent years. The Department of National Defence is drawing up plans for a new system that officials hope will be in place by 2021 and include the ability to expand or shrink the number of trainees in any year given the Air Force's needs. Kenny said the shortfalls will remain a challenge since the current system will remain in place for several more years — and because it takes four to eight years to train a pilot from scratch. "We know what capabilities we're receiving and now we can start working to make sure that we have personnel that are trained to be able to meet those requirements," he said. "But I'm not going to lie: It's definitely a challenge."